August means it’s back-to-school time. For some youth, this might be a time for reuniting with friends they haven’t seen for two months, settling into a new schedule, and dreading the early mornings that have eluded them all summer. 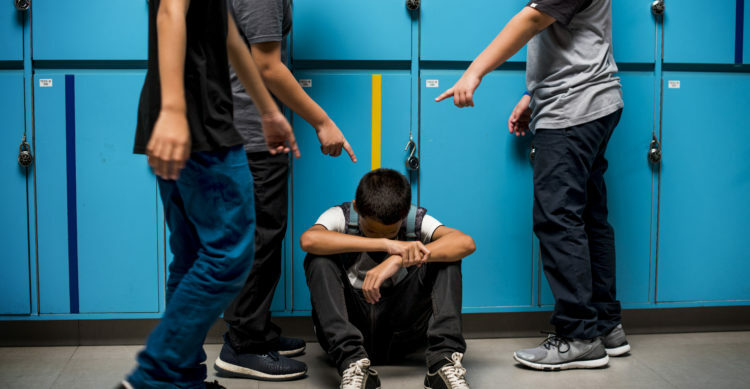 For others, this time of year is not so benign—the threats of cyberbullying, hallway aggression, and schoolyard torment are very real. According to Reuters, the most common methods of non-suicidal self-harm are cutting or burning. Some youth may also punch themselves or start fights with the intention of being hurt, methods that are often overlooked as self-harm. According to the study, there was no indication that any gender participates in one method of self-harm more than another. In a study conducted by the American Public Health Association, for LGBT youth, the number of those participating in self harm more than doubled those of their heterosexual counterparts. In addition, according to the CDC, nearly thirty percent of LGBT youth have attempted suicide compared to 6% of heterosexual youth. In the digital age of social media, it is much more difficult to protect your child from the cruelty of their peers than when we were children ourselves. For both generations, the waters we navigate are new. Affirmation of identity, access to mental health services, and support communications with their school may be necessary. Check in with your child and let them know that home is a safe space for conversation, that you are their advocate, and that their health—mental and physical—is not something to be ashamed of.